The L1649A Starliner was the outgrowth of the L1469/L1569 turboprop designs studied by Lockheed but never produced. 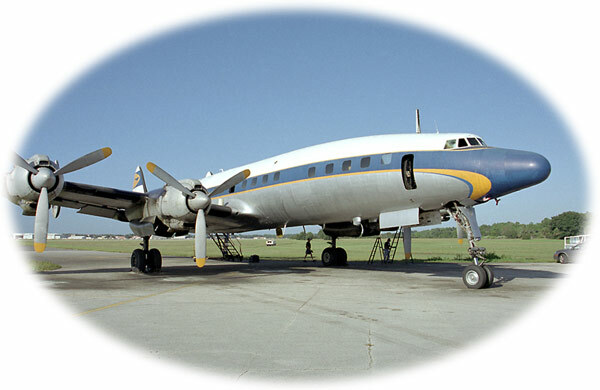 Development of the L1649A began in May 1955 and was Lockheed’s response to the long range Douglas DC-7C that went into service in June 1956. The Starliner incorporated a totally new wing design, 3,400 hp –EA2 turbo compound engines and a fuel capacity of 9,000 gallons giving it a range of over 5,000 miles. The first flight of the prototype was October 10, 1956 with TWA introducing the L1649A on its North Atlantic service on June 1, 1957. Sadly, this superb aircraft was developed too late and was quickly overshadowed by the early jets with only forty-four being produced. TWA was the largest operator with twenty-nine aircraft with Lufthansa and Air France also taking delivery of new aircraft. Most were out of front-line passenger service by 1963 with a number being converted to freighters and many going to second-tier operators and travel clubs. A few operated as freighters in Alaska into the late 1970’s but all commercial operations ceased by the early 1980’s. N8083H c/n 1038--->Purchased by Lufthansa December 2007. Restored in period TWA colors and moved to JFK Airport in October 2018, where it will be the centerpiece and cocktail lounge at a hotel adjacent to the former TWA termainal. Your comments regarding this website would be very much appreciated. Please contact me about any errors you see and information you might have about a "Survivor". Photos of "Survivors" would also be very much appreciated.